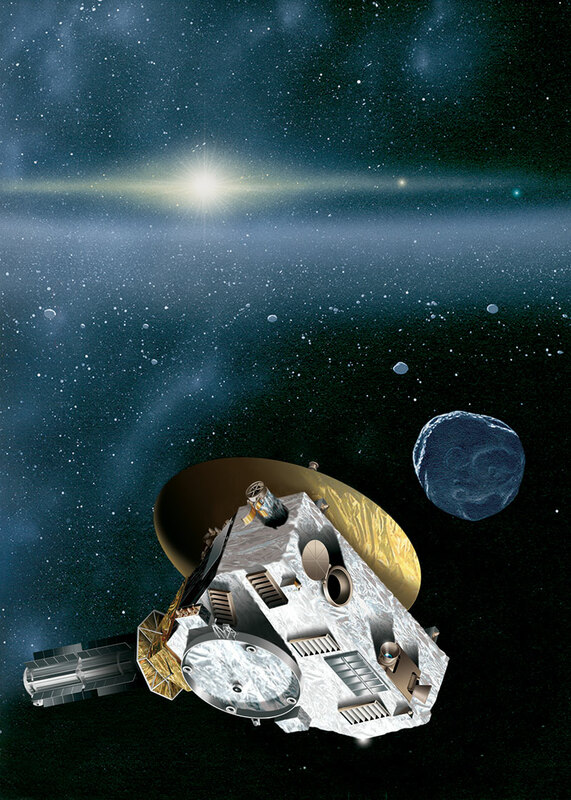 This is an artist’s rendering of the New Horizons spacecraft encountering a Kuiper Belt object — a city-sized icy relic left over from the birth of our solar system. The sun, more than 4.1 billion miles (6.7 billion kilometers) away, shines as a bright star embedded in the glow of the zodiacal dust cloud. Jupiter and Neptune are visible as orange and blue “stars” to the right of the sun. This entry was posted in ASTRONOMY, ASTROPHYSICS, SPACE and tagged New Horizons. Bookmark the permalink.